Groom leans over to kiss Bride during this wedding day sunset portrait. 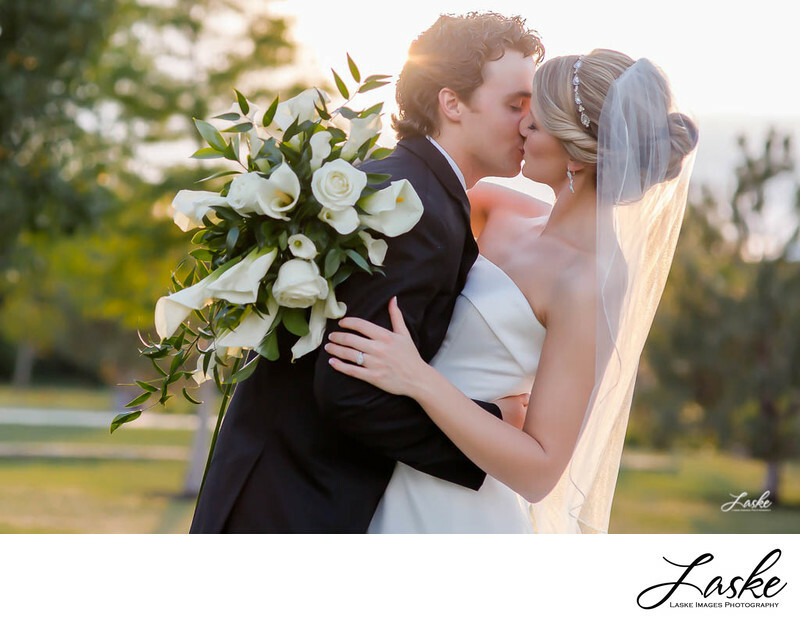 She's holding onto him, with her bouquet in one hand as the sun sets behind them, trees in the background. 1/800; f/2.5; ISO 250; 85.0 mm.